Ballet is certainly one of the classes where children will learn much more than simply how to dance. They will gain poise, grace, dedication and so much more. It is truly one of the most challenging and rewarding forms of dance for anyone to learn. This will always be the case, but it isn’t where the benefits of ballet stop. A huge benefit to practicing this form of dance is that it strengthens so many muscles in your body, it truly is a workout that hits almost every spot. We’re going to cover a few of the primary parts that get worked. These two parts of your body are somewhat difficult to strengthen, mostly because they require activities and exercises that are extremely specific to these locations. One of the activities that yield results for both areas is ballet. This form of dance requires so much control from the core and back in order to hold form and follow through with the movements, that as your dancer practices and continues to improve, these muscles will strengthen. The control that ballerinas must have over their bodies is pretty incredible, so you can only imagine the power and strength that their legs have. In order to manage this type of control, all dancers can expect to practice leg exercises over and over again. Most dancers find that this is the part of their body that they gain the most strength in, and after a few classes they’ll see that this is one of the most challenging parts of ballet. Ballet is most known for the point that the dance moves incorporate. It’s a hard move to forget considering how absolutely beautiful it is, but the grace doesn’t come easily. One of the body parts that experience quite a bit of strengthening are the feet, and even more specifically, the toes. With every rise that the dancer makes, their toes are going to be holding up their weight, requiring the dancer to not only have control over this part of their body but to also gain strength in it. This is another body part that will be challenging to strengthen, but entirely worth it once it’s been achieved. 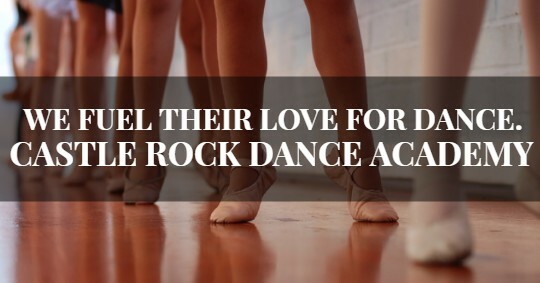 Castle Rock Dance Academy has been focusing on various forms of dance for years, and we are so excited to be the academy that you choose for your child. Browse the classes of the upcoming session and enroll your child today. Contact our office if you have any further questions regarding our programs.